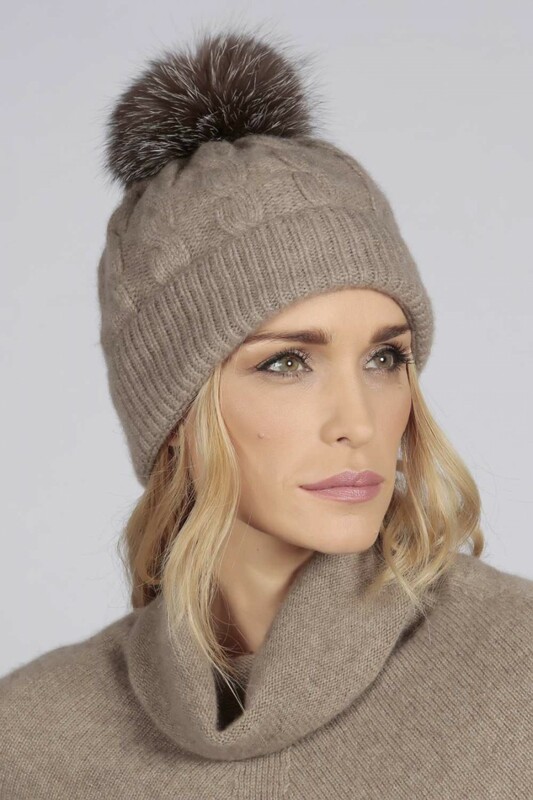 Our top notch Camel Brown cashmere beanie hat is knitted in Italy with a cable knit style and a real fur pom pom. 30 days money back guarantee. Our top notch Camel Brown cashmere beanie hat is knitted in Italy with a cable knit style and a real fur pom pom. Its incredible softness and warmth will cuddle your head through the toughest winter. Wear it with our Camel Brown cashmere wrap or with our beautiful Camel Brown cashmere cape. 30 days money back guarantee.